It’s time to get your business ready to succeed in 2013. 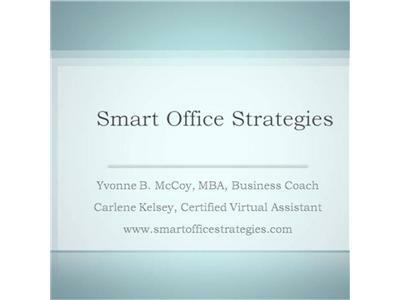 Join Yvonne and Carlene when they will walk you through the strategies to set up your 2013 goals. It’s time to STOP and REFLECT. Plan to achieve great success in your business. You will gather insights into “what has worked” and how to tweak “what has not worked.” Don’t miss this planning session for 2013. Be sure to click on upper left hand corner to Follow us.